It's supposed to be Doritos' time to shine. But this year, everyone seems to be crashing the brand's "Crash the Super Bowl" contest. First, Newcastle Brown Ale piggybacked on the competition for its own purposes. And now we get this subversive and very well-made Doritos parody from SumOfUs.org—which starts off goofy and funny but ends on a sobering note. We won't give away the reveal. But suffice it to say, the reason this spoof works so well is that, in its initial ridiculousness, it plays so much like a real (fake) "Crash the Super Bowl" entry. 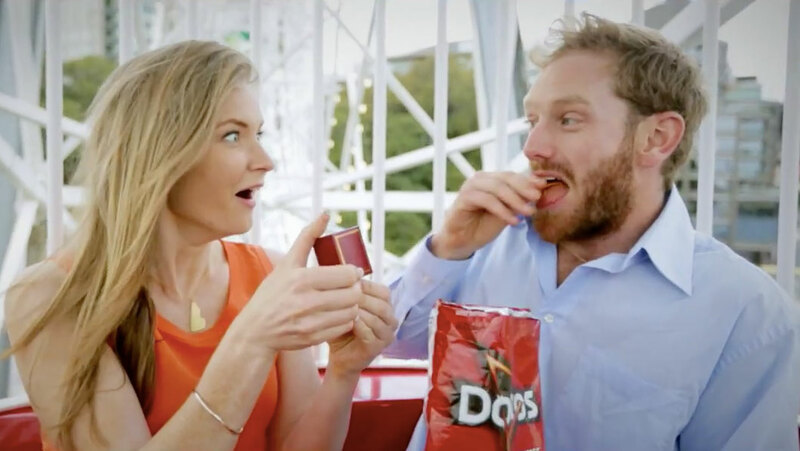 Also, that absurdity strengthens the surprise message at the end—guilting the viewer into wondering whether the playfulness of Doritos ads generally is one big ruse. For more on the campaign, visit SumOfUs.org.